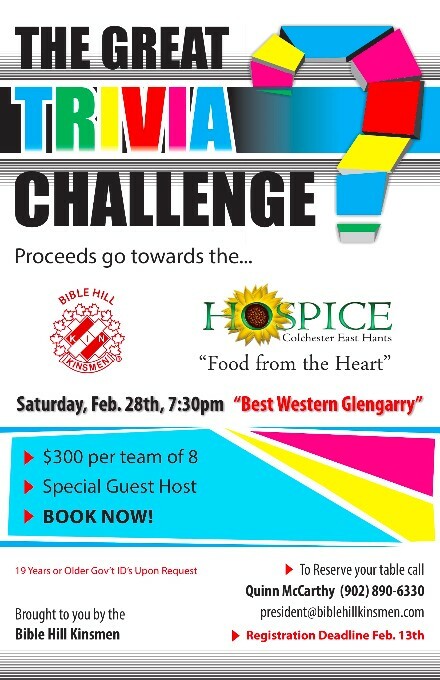 The Great Trivia Challenge Fundraiser for Hospice and the Bible Hill Kinsmen is back! Event takes place on Saturday February 28th at 7:30pm. $300.00 per team of 8. Contact Quinn McCarthy to reserve your table: 902.890-6330.